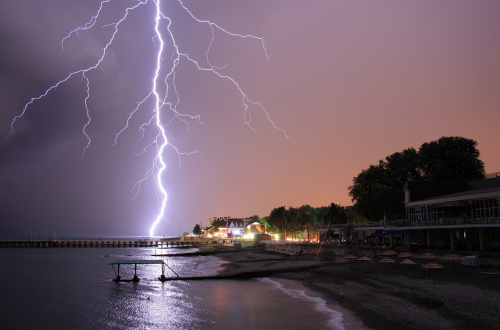 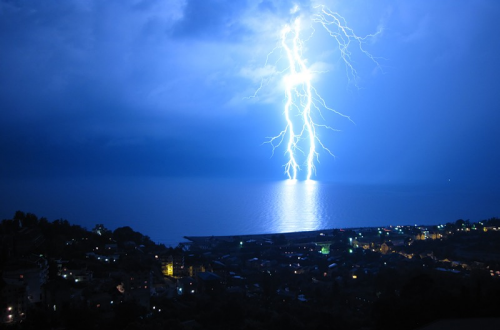 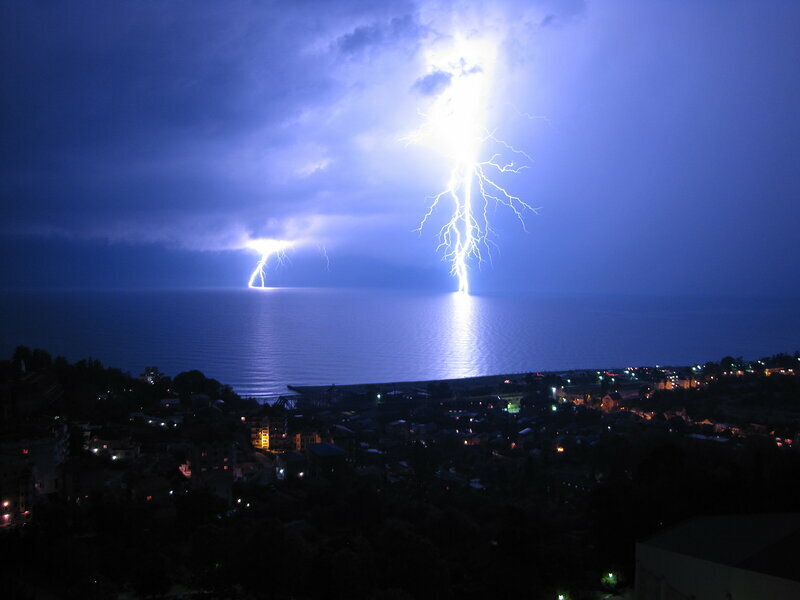 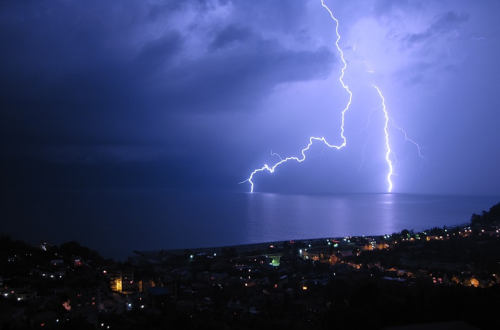 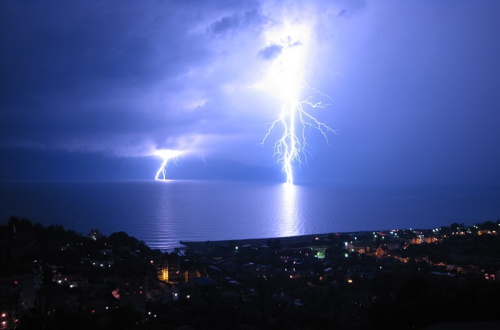 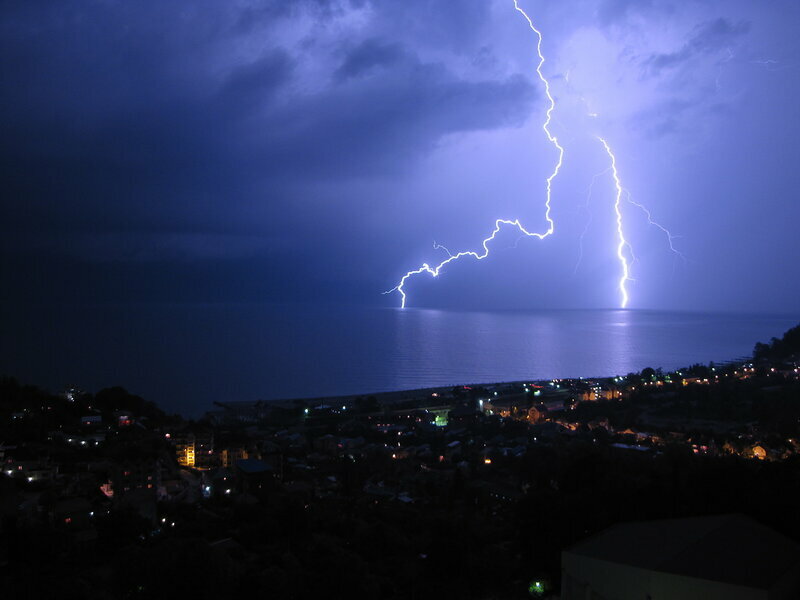 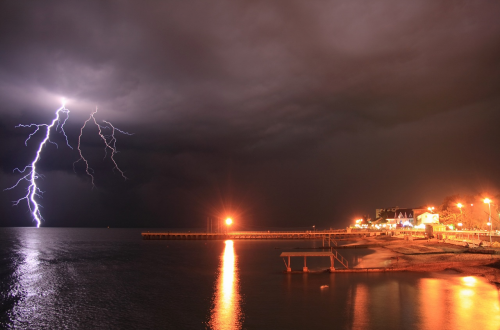 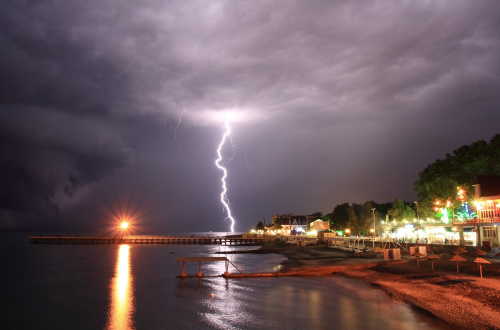 I a few amazing lightning-over-the-sea photos taken by other people in Sochi, and wanted to share with you. 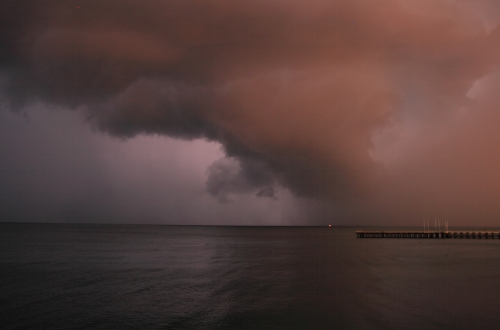 The photos are clickable, and lead to the large size originals. 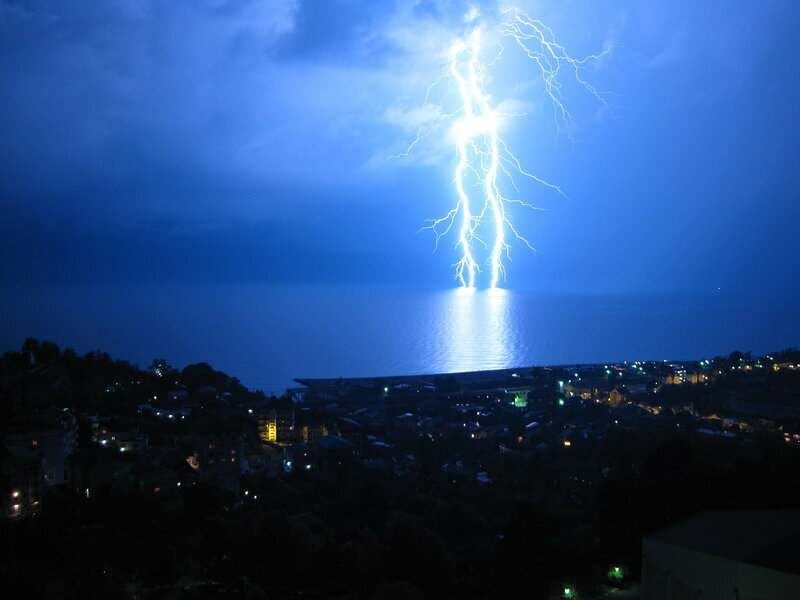 Notice how clam the sea is on both sets of photos.